GUARANTEED to be exciting and innovative, Grand Band New York perform classics from Reich, Lang and Glass at St David’s Hall on Tuesday 23 May at 8pm. 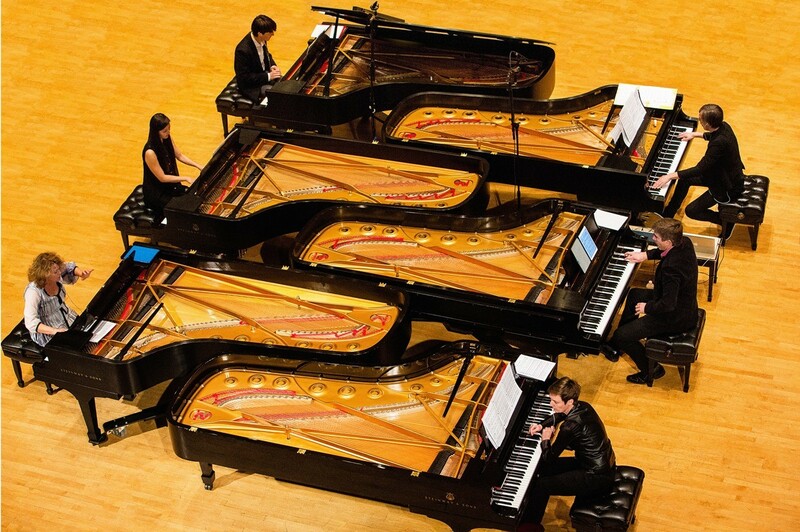 Featuring six grand pianos and six virtuoso pianists, Grand Band champion new music from today’s composers, ranging through classical and pop-crossover to post-minimal. In addition to the World Premiere of Philip Glass’ Closing, David Lang’s Face So Pale and Steve Reich’s frenetic Six Pianos, there’s also a Chopin World Premiere from Ben Wallace and music from Wales by John Metcalf with Never Odd or Even. This concert is not part of the International Concert Series packages.